The material of GRIP B disposable packaging container with handle is capable to product with PET, PP, PS and PLA. 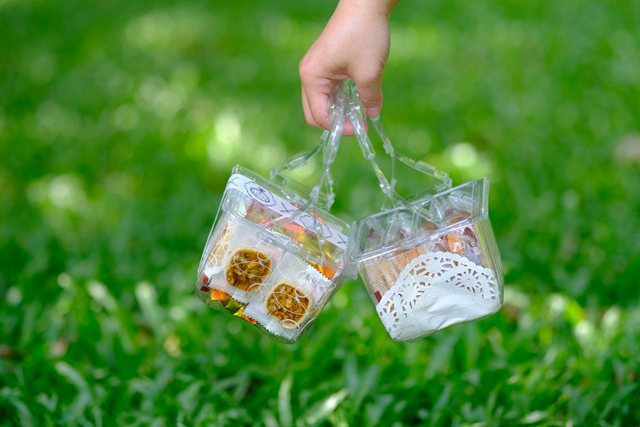 PET is transparent and suitable for salad, fruit, cake and cookies. PP material is suitable for hot food. PLA material is a biodegradable material and also suitable for salad, fruit,cake and bakery products. We provide several kinds of choice and customer can choose base on their own requirement.